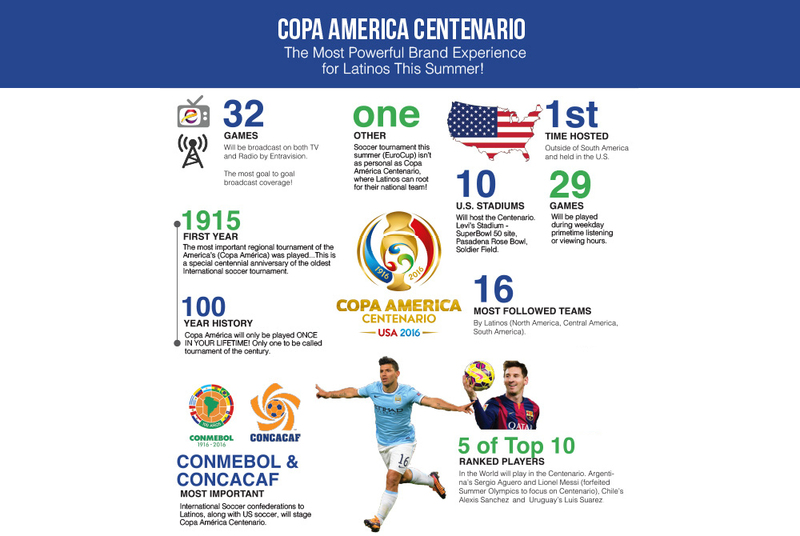 Copa América Centenario is the centennial celebration of the oldest soccer tournament in the world – Copa América. In conjunction with CONMEBOL, the South America’s governing body, Copa América Centenario will seed the top 16 teams most important to Latinos from North and South America: 10 South American national teams and six invited teams from CONCACAF, including the U.S. and Mexico. This means Latino fans get to see 5 of the top 10 players in the world, such as Lionel Messi. It is also the first time Copa América is hosted outside of South América. The 32 game tournament, the biggest tournament the U.S. has hosted since the 1994 World Cup, will take place at premiere stadiums across the United States, starting with the opening match at Levi’s Stadium in Santa Clara to the championship game at MetLife Stadium in New York. U.S. Latinos are avid soccer fans. They are not just passionate, but loyal to their national teams, and this year they’ll be able to cheer for their home country from their American home. 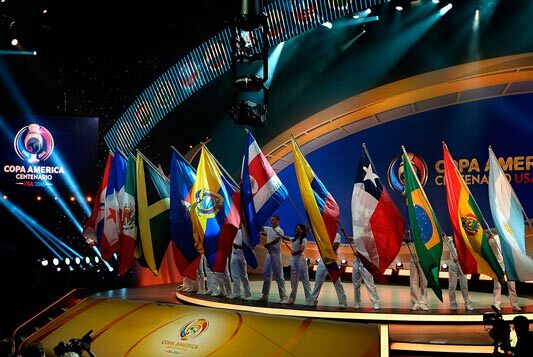 In fact, this year’s participating teams represent the countries of origin of 77% of Hispanics. U.S. Latinos are avid soccer fans. They are not just passionate, but loyal to their national teams. For the most complete goal to goal coverage, you can catch all 32 games on either TV or Radio as Entravision will uniquely broadcast games on both the Univision and UniMas TV Networks, as well as its Jose and Tricolor Radio Networks. Don’t miss the biggest event of the summer. GOOOOAAAL!